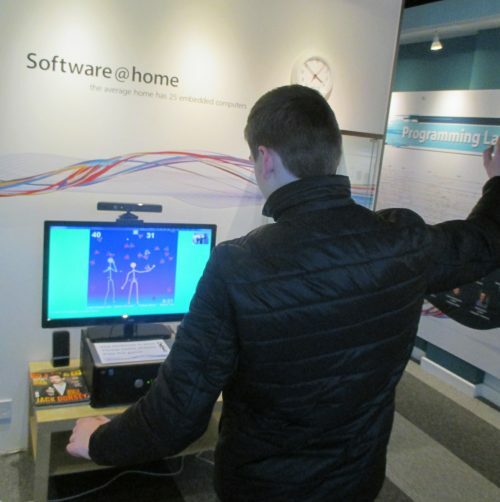 The ‘relaxed openings’ initiative for people with autism and their families at The National Museum of Computing on Bletchley Park has just been boosted by a Museums and Heritage Prize. The prize money will be used to further develop the Museum as an autism-friendly venue, especially through the creation of a pop-up chill-out zone especially designed for those with extreme Autism Spectrum Disorder (ASD). Launched in February this year, the relaxed openings proved so popular that Head of Learning at TNMOC Claire Marston decided to run them regularly. The next two relaxed openings are on 28 July and 25 August 2017. Visitors during the relaxed opening sessions know that the Museum will be less busy and that staff will be particularly alert to their needs. Sensory maps are available in advance, so that visitors know exactly what unusual sounds and sights to expect in particular parts of the Museum. At no extra charge, relaxed opening visitors can explore the museum, take part in drop-in activities, enjoy Augmented Reality and family trails, learn coding and enjoy the chill-out zone. To keep numbers at an appropriate level, relaxed opening visitors are asked to register in advance. Contact claire.marston@tnmoc.org. The next relaxed openings will be on 28 July and 25 August 2017 from 10.30am to noon.